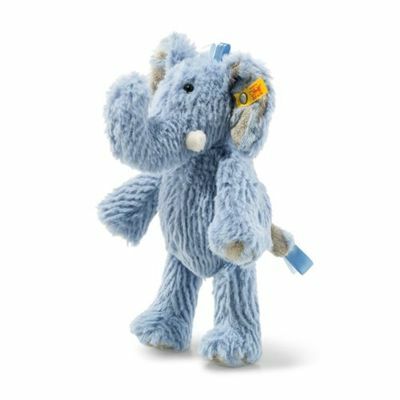 At a height of 20 cm, the soft and cuddly stuffed elephant is a must for any child's bedroom. The fluffy playmate shakes its striped ears and tells children about the giraffes, whose necks are long enough that they can eat leaves right off the trees. And about the lions, who roar so loudly in the wilderness that people have to cover their ears.